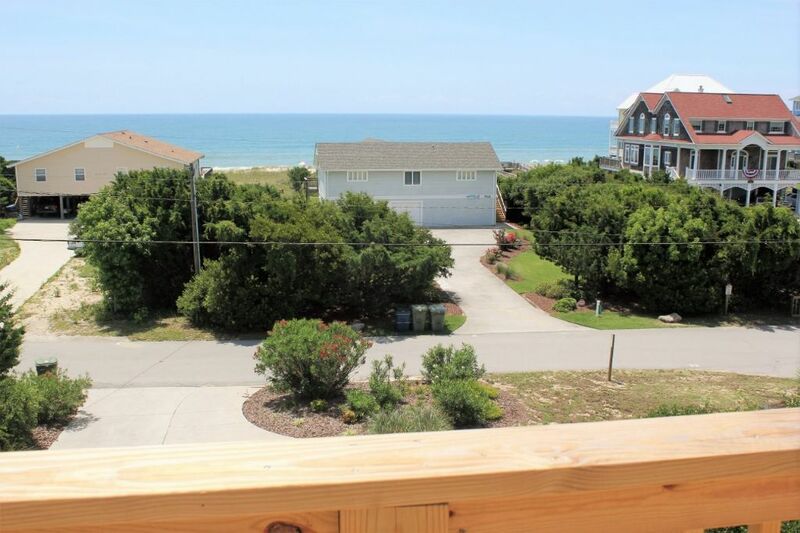 Wonderful Oceanviews from this high lot only 1 house from the beach! Duplex, 3 BR, 2.5 baths. 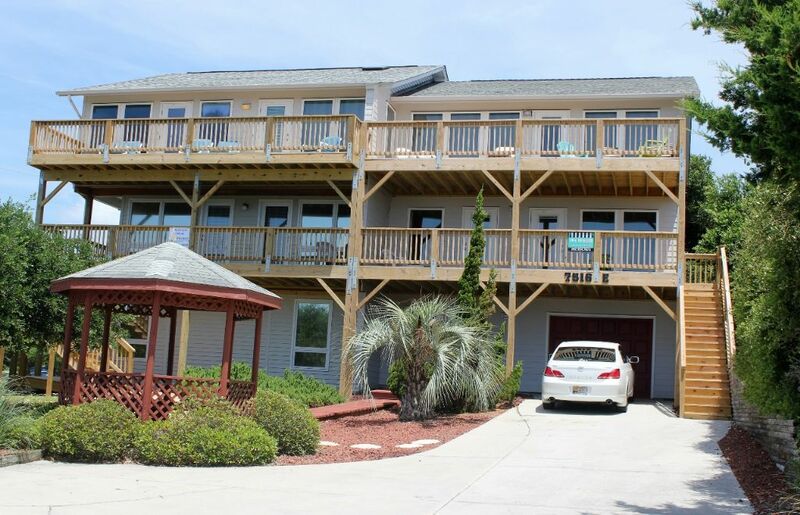 K * K * 2S * QSS * R. Central air and heat, iron and ironing board, ceiling fans, washer/dryer, dishwasher, microwave, water filter, well equipped kitchen, 2 CCTV(s), DVD, CD player, gazebo, open and covered decks, deck furniture, and garage. Direct beach access. Beautifully furnished. WIFI. Hot/cold outside shower. RENTS SUNDAY TO SUNDAY. NO SMOKING! NO PETS! "A pleasant, clean, well stocked house with plenty of room for the 6-8 people in our group. 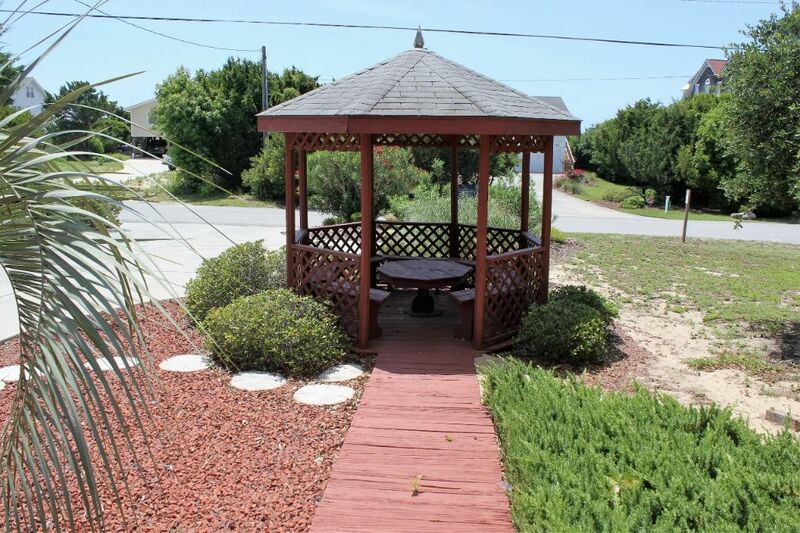 Very conveniently located--easy to get to the beach. Would rent again!" Thank you, Karen! Unwinders-East is certainly a favorite amongst Shorewood guests due to the very reasons you named. We are happy to know you enjoyed your time there and look forward to having you stay again! "Great location great view!!!! Lots of room for a family of 6. Many happy memories were made in this house." "We stayed in Unwinders-East in 2009 and had to come back again this year. Great comfort. Comfortable floor plan. Awesome view of the ocean. Easy access (across the street) to the beach. Everything we needed in terms of kitchen items. Good, quiet neighborhood. And the price was right, again." Enjoyed the location and house but had many roaches and ants. "House had a nice layout and great location. Outdoor shower was not enclosed. Great view of the ocean. Quiet location. Comfortable beds and furniture." 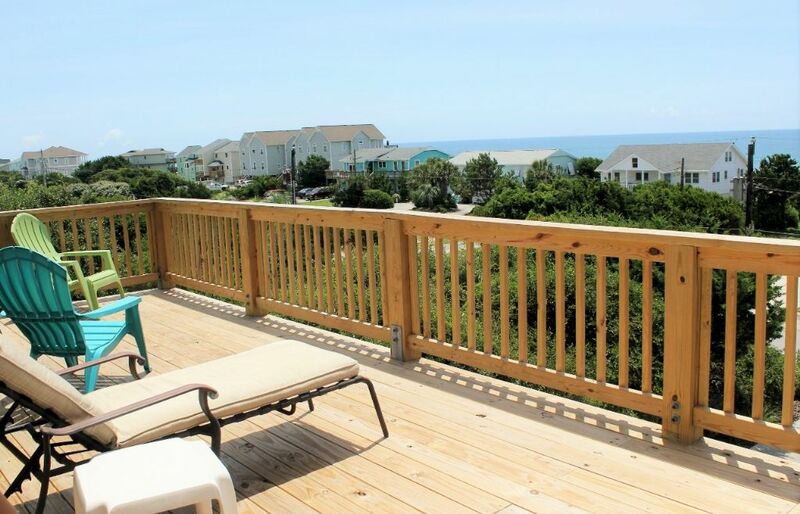 "We really enjoyed our relaxing vacation at Emerald Isle ! 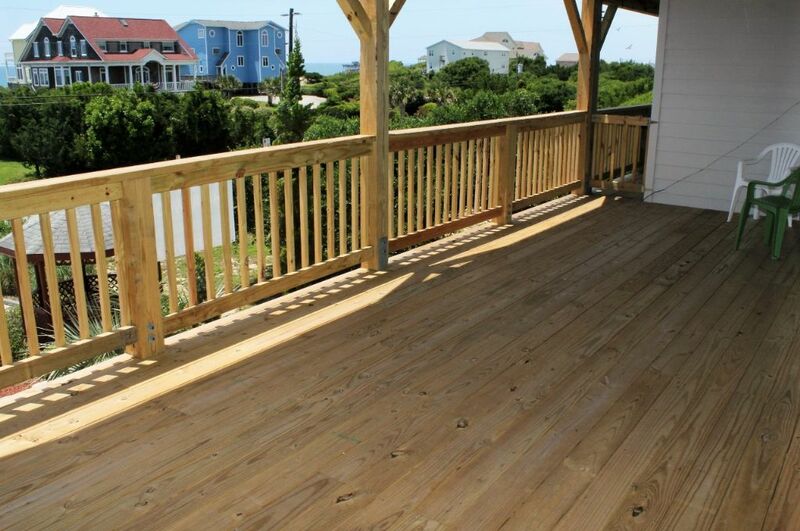 The location and view from the house was great."